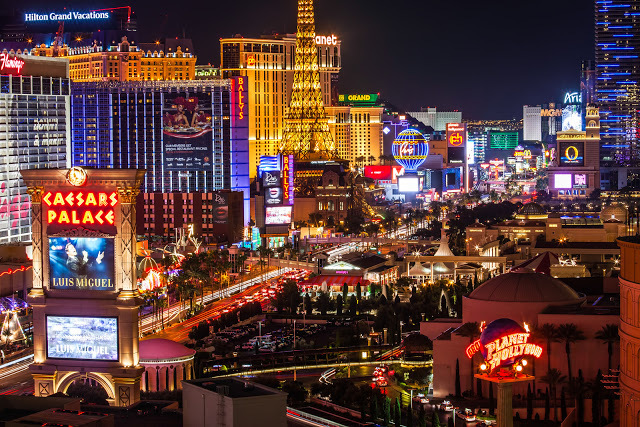 Home LIFA News LIFA Hits Las Vegas! Legal Immigrants For America (LIFA) just returned from a spectacular, action-packed, 5-day trip filled with speaking engagements and meetings in Nevada and California. Las Vegas served as the home base for LIFA during the trip, and many great new partnerships and contacts were made. LIFA began the trip by meeting with Nevada Assemblywoman Vicki Dooling from District 41 in the greater Las Vegas and Henderson area. Vicki is a staunch conservative who has done a great job representing her constituents in District 41. She explained to LIFA about the huge problem of illegal immigration in the Las Vegas area and what she and others are doing to fight it in the Nevada legislature in Carson City. LIFA is blessed to count on Vicki Dooling as a friend and as a partner in the battle for legal immigration. LIFA also had the privilege of speaking to the Las Vegas Valley Tea Party. Mary Rooney is the head of the LVVTP, and they filled up a restaurant function room to hear LIFA’s message about the various issues affecting legal and illegal immigration. LIFA was pleased to meet Jim and Rita Bonilla at the LVVTP speaking engagement. Jim and Rita are conservative Mexican-Americans who strongly believe in the rule of law and in legal immigration, and they shared several stories with LIFA about the severe extent of the damages caused by illegal immigration in the Las Vegas area. The following evening LIFA ventured out to Mesquite, NV, to speak to the Virgin Valley Tea Party. Kathy Williams heads the VVTP in Mesquite and Connie Foust is a candidate for the Nevada legislature in District 19. The VVTP group had a lot of compelling questions for LIFA about the scourge of illegal immigration in their area in an information-packed meeting. In our next installment we will share with you more news about LIFA’s successful trip to Nevada and California, including details about LIFA’s amazing speaking engagement to a great assortment of pro-legal immigration organizations in Apple Valley, CA, and then a journey across Death Valley to Pahrump, NV, for a boisterous speaking engagement in the Wild, Wild West! Stay tuned! Is UPS Bringing Illegals Into The USA? Great write-up, I am regular visitor of oneˇs web site, maintain up the excellent operate, and It’s going to be a regular visitor for a long time.